Bad SEO is not something new or something uncommon and yes it can really destroy your Google rankings. In this article I will explain what bad SEO is and what I consider to be the top 10 practices that can negatively impact your rankings. 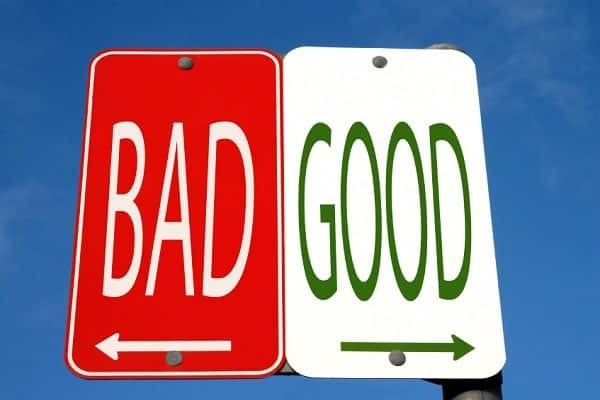 Practices that are unethical, outdated or are outside the boundaries of Google webmaster guidelines are considered as BAD, thus the term ‘bad SEO’. While SEO is about optimizing your website for search engines, bad SEO can generate the opposite results. So, which are these techniques that can hurt your rankings and most importantly what you should do to avoid them. Last week I wrote a post about writing SEO friendly content and the first tip was to make sure that your content is unique and original. In the case of bad SEO, you need to avoid publishing duplicate content on your website. Non-unique content is not good for SEO. The main reason is that if search engines already have the same content in their index, there is absolutely no reason to index your web page since it has nothing new to offer. If you need to have some duplicate content on your website because it is useful for your readers or because of the nature of your business, you should “no index and no follow” those pages so that they do not have a negative impact on your SEO. Repeating the same keywords over and over again not because they are useful in the text but because you are supposed to optimize your copy, is a very bad SEO practice. Not only it will discourage your visitors from interacting or reading the content but it is also a signal for search engines that you are trying to manipulate (trick) their algorithms. Mentioning your keywords in the title, description, opening paragraph and a couple of more times naturally in the text is enough. Last year a lot of people insisted that a secure way to get back links to your website was through guest posting. While guest posting can be a great way to do that, if done cheaply and wrongly, can damage your rankings. 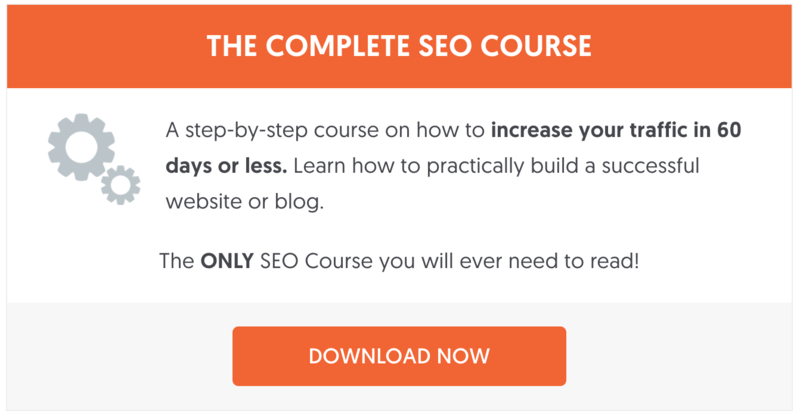 THE COMPLETE SEO COURSE A step-by-step course on how to increase your traffic in 60 days or less. Learn how to practically build a successful website or blog.The ONLY SEO Course you will ever need to read! You can get post on high quality websites related to your niche not for the purpose of a getting a link but for more exposure and recognition. Read this article I wrote last year on guest post for links for a more in-depth analysis on what is a good link from guest posting. You can feature new writers on your website and publish content written by others provided that it is original, relevant and useful for your audience. If the above rules are not met, then it’s better not to publish anything at all. Publishing new content on a regular basis is a good SEO practice but it is also important to keep a balance between content produced from the website and content offered to the website in exchange for a link in the author bio. Cloaking (hiding the real destination of a link) and showing different versions of a page to crawlers and users was a common practice in the past but not anymore. Using such techniques now is actually a very bad practice. You should only keep one version of a page for both search engine crawlers and users and ensure that users can differentiate between website content and ads. Yes, that’s bad SEO since Google punishes websites that have many ads above the part of a page that is visible without scrolling (above the fold). If you suddenly saw a decrease in traffic then you should check if you were affected by the page layout algorithm. Building a successful website or blog takes time and needs a lot of patience and hard work to create the content and get those valuable natural backlinks. If instead of doing that you prefer to take shortcuts, you may see temporary success at the beginning and soon enough huge failure. Buying links for any kind it a bad practice and something that Google will find out (sooner or later) and most probably you will end up losing your rankings and will need to try even harder to achieve something good online. Google developed the webmaster tools in order to establish better communication with webmasters. There is a ton of information you can get about your website and a lot of tools to help you understand how to improve your SEO and rankings in Google. You can check for things like bad links, crawl errors, duplicate titles and descriptions and much more. It’s not only the incoming links that can damage your website but also the outgoing links. Websites that have a lot of outgoing links without using the ‘nofollow’ tag can be considered as link farms or paid directories. In general you should ‘nofollow’ any links in ads, comments and websites that you don’t trust fully. Your website should load in less than 4-5 seconds and should be available 24/7 all the time. Anything that does not comply with the above rules, it’s considered by me as bad SEO practice. A good hosting provider is very important for having 24/7 availability and a modern software (like WordPress) can help you build fast websites that load within the accepted range. What is more important for website success these days is to follow good SEO practices that are ethical, based on Google standards and up to date with the latest developments of ranking algorithms. Practices of the past such as keyword stuffing, cloaking, massive link building and banner stuffing are a thing of the past and should definitely be avoided. LIKE WHAT YOU’VE READ? Sign up for my blog updates and never miss a post. I’ll send you a FREE eBook on the Most Effective Methods to Drive Traffic to Your Website in 2019, as a thank-you. 100 % privacy. I hate spam as much as you do! Digital Marketing Consultant and author. 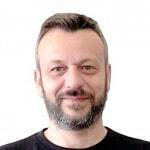 Alex has more than 18 years of experience in SEO and Internet Marketing. Connect with him on Twitter. Thank you for your Valuable article. Really, Your Article About ” 10 Bad SEO practices that will destroy your Google Rankings” is very interesting and very knowledgeable for doing SEO work. I heads-off you for this awesome Article. Hey I read the post of yours it was pretty amazing. I would like to know that deleting any post is also bad seo practice? Not, deleting posts is not a bad seo practice. If it’s not a good post, you can delete it or you can redirect it to some other related post on your website. love this Article, straight to the point! I have been in SEO for 4 years and every year I hear the same old people say “SEO is dead”….ummm well those people aren’t actually anything to do with SEO and have no idea the power it holds! SEO is one of the most credible ways to get your website seen and to generate third-phase customers, the ones READY to buy! Any business owner who overlooks this are playing with fire, simple. I wouldn’t agree with you more! SEO was and it still is one of the most important tools of Digital Marketing. Well written and easy to understand. I love that as too many try to make SEO too complicated. Thanks for sharing the blog. It is very important to get the quality backlinks for your website. Spam backlinks will automatically decrease the ranking and authority of website in search engines. SEO done in right way always brings good ROI. So its good for webmasters to avoid the 10 bad SEO practice that will destroy Google ranking. Keep sharing your blog for further more interesting updates. True, you need good quality backlinks but you need to get them the proper way (natural links) and not otherwise. Our website is being punished by Google (not a Manual Action) and I’m trying to cleanse our backlink profile. I found links to Links2go and it seems it’s a paid site. although they have great UR & DR (according to AHREFS). To be on the safe site, my suggestion is to remove them. By the name if the domain, you can tell it’s purpose. Here I found what mistakes I have done in seo and why my website ranking destroyed. Now I’ll consider all these factors and again starting seo of website. Your Blog Post is informative ,Updated my knowledge regarding artificial Intelligence used by google , I have subscribed to your blog updates , your blog seems like a great SEO Guide -Easy to understand and follow. Hi Alex. How about a new blog, how to get it achieve the good position for the targeted keyword, having a new blog is a frustrating job for impatient guy like me, do you have tips to help me? Interesting Article about Seo . Negative seo or doing bad practicing to get higher google ranking will lost ranking in search result . Thanks for Sharing . Love this Article, straight to the point!Thanx For sharing. I wonder, how to handle content like a block of disclaimer text, which is exactly same content for every pages. Will it destroy SEO? If it does, what should we do to tackle this problem? That should not be an issue at all. You can keep you disclaimer text in your pages. Great article and very accurate for all the points. Strongly believe in the motto content is king, and excellent content should be held as key to any SEO campaign. Great article and point 6 is very important. User experience is now a major part of keeping rankings once you have them, and to many ads above the fold is not good. Whatever the searcher is looking for should be in clear view without the need to scroll. Straight to the point. Great article! SEO plays an important role in Digital marketing. Bad SEO practices are not something new.Many people tend to follow some wrong SEO strategies and end up losing their potential clients.By the way great job on the article. as a way of saying thank-you. We are a proud Google Partner. 500K organic visits per month. Subscribe to our newsletter and get an SEO eBook for free!